Our variety of exceptional soaps have kept people and their households clean for decades throughout our nation. 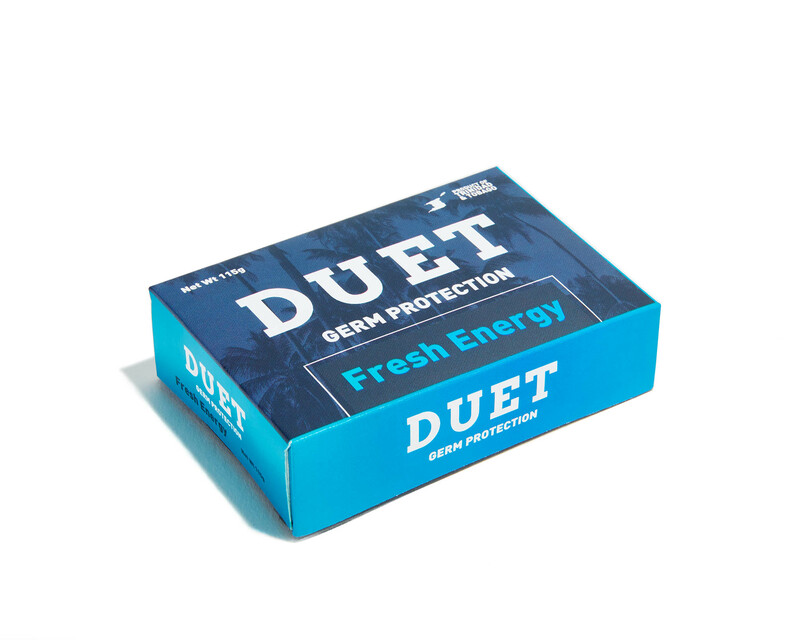 Our best known bath soaps include the luxurious Beauty Soap D’OR, the energizing Germ Protection Duet range and the moisturising Every line. 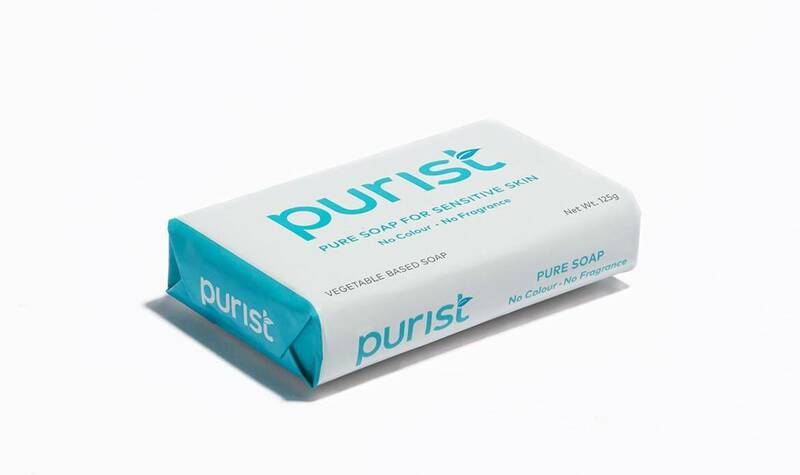 We are immensely proud of our medicated Comed soap and Purist Pure soap for sensitive skin. 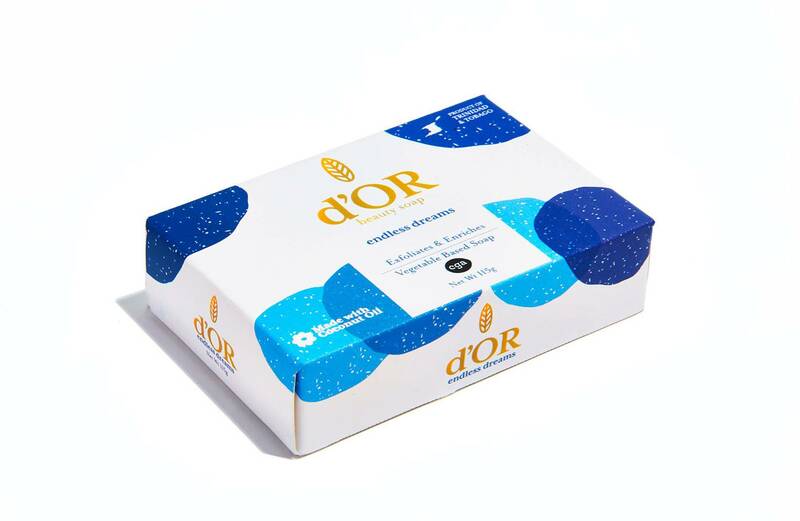 Restore and renew with the gently exfoliation of oats and a rich creamy lather infused with pure Coconut Oil with d'OR Vegan Beauty Soap. It’s your skin’s dream come true! Coconut Oil – naturally moisturizes, soothes & conditions skin. Glycerine (Plant based) - Locks in moisture, nourishes and hydrates the skin. Oats- exfoliating, soothing, healing & skin renewing properties. FULL INGREDIENT LIST: Sodium palmitate, sodium cocoate, sodium stearate, oatflour, fragrance, coconut oil, cocamidopropyl betaine, water, disodium laureth sulfosuccinate, glycerine, titanium dioxide, B.H.T. Rich, luxurious lathering beauty soap that gently exfoliates, heals and soothes, leaving skin silky smooth. Naturally cleansing without over stripping skin of natural oils. Nourishes, hydrates and renews skin. Fresh and lively citrus, fruity fragrance that invigorates and rejuvenates the senses. 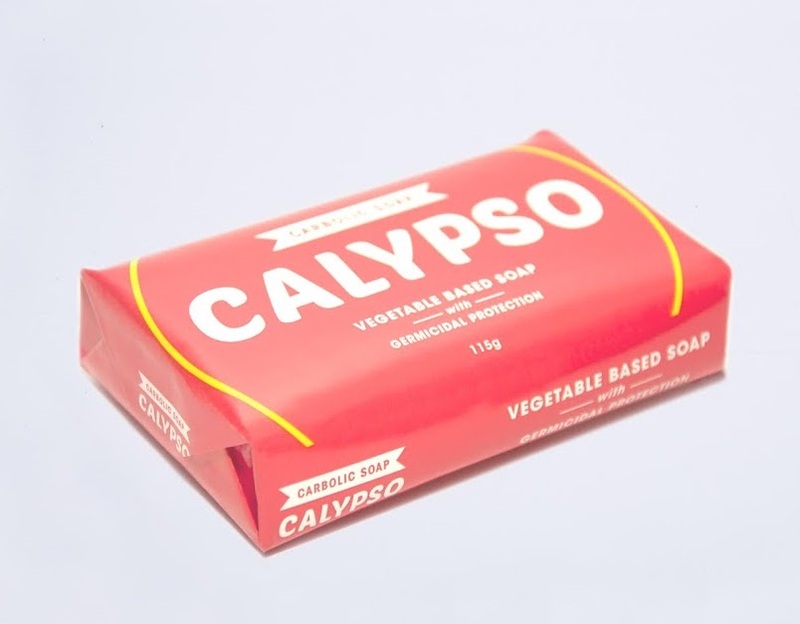 All vegetable based soap; contains no animal fats. Made in Trinidad and Tobago, Caribbean with Coconut Oil. Soft floral scents meet a conditioning rich creamy lather infused with pure coconut oil in d'OR Vegan Beauty Soap. You’ll feel pampered with every wash! Glycerine (plant based) – Locks in moisture, nourishes and hydrates the skin. FULL INGREDIENT LIST: Sodium palmitate, sodium cocoate, sodium stearate, fragrance, coconut oil, cocamidopropyl betaine, water, disodium laureth sulfosuccinate, titanium dioxide, glycerine, B.H.T., flourescer. Rich, creamy lathering beauty soap that gently heals and soothes to restore your skin’s natural balance. Nourishes, hydrates and refreshes the skin. Sensational floral, musky fragrance that soothes and relaxes the senses. 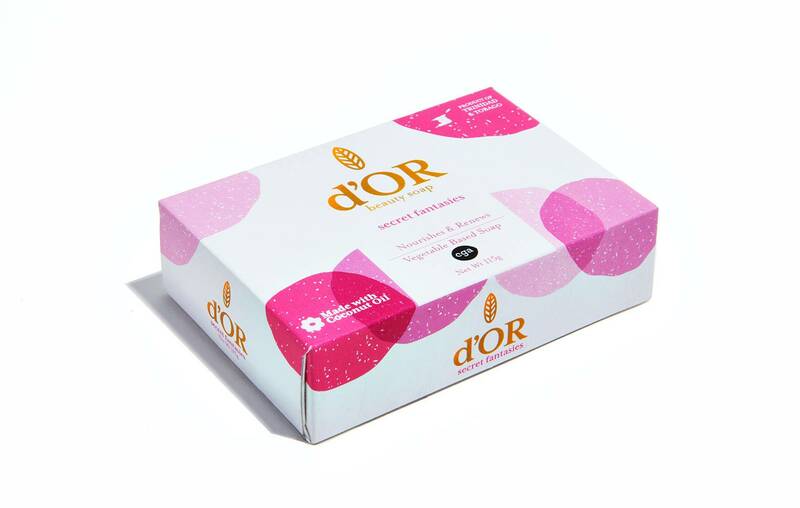 The gently exfoliation of poppy seeds, enriching moisture and rich creamy lather infused with pure Coconut Oil in dOR Vegan Beauty Soap. Believe in your skin again! Poppy seeds- exfoliating and skin renewing properties, high in antioxidants like Vitamin E and A that provides key moisture and anti-aging boost to skin. FULL INGREDIENT LIST: Sodium palmitate, sodium cocoate, sodium stearate, fragrance, coconut oil, cocamidopropyl betaine, water, disodium laureth sulfosuccinate, poppy seeds, glycerine, titanium dioxide, B.H.T. Rich, lathering beauty soap with exfoliating poppy seeds for sloughing off dead skin. aturally cleansing without over stripping skin of natural oils. Nourishes, enriches and renews skin. Delightful and delicious fragrance that awakens and excites the senses. Feel morning fresh all day long. A cool crisp scent and natural germ protection, moisturizing and hydration properties of Coconut Oil. Natural and Vegan Germ Protection bath soap for active lifestlyes. Coconut Oil – naturally moisturizes, soothes & conditions skin. 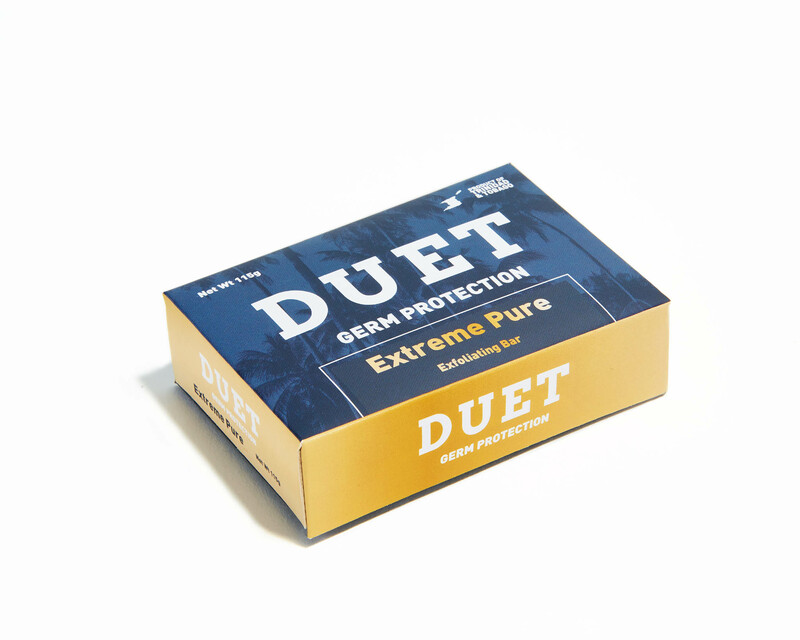 Its antifungal and antibacterial properties provides natural germ protection. Glycerine (plant based) – a humectant that locks in moisture, nourishes and hydrates the skin. FULL INGREDIENT LIST: Sodium palmitate, sodium cocoate, sodium stearate, fragrance, coconut oil, cocamidopropyl betaine, water, disodium laureth sulfosuccinate, glycerine, titanium dioxide, B.H.T., C.I. 74260 (pigment green 7). Provides gentle cleaning and lathering properties along with natural germ protection for active lifestyles. Nourishes, moisturizes and refreshes the skin. A long lasting, cool, crisp scent rejuvenates and revives for a morning fresh feel all day long. A deep clean you can feel. Get the renewing, revitalizing power of exfoliating oats and natural germ protection, moisturizing and hydration properties of coconut oil. Natural and Vegan Germ Protection bath soap with Exfoilating Oats for active lifestlyes. Oats - exfoliating, soothing, healing & skin renewing properties. A long lasting, renewing fragrance, together with the exfoliating power of oats, provides a deep clean you can feel. Invigorate the skin you’re in. 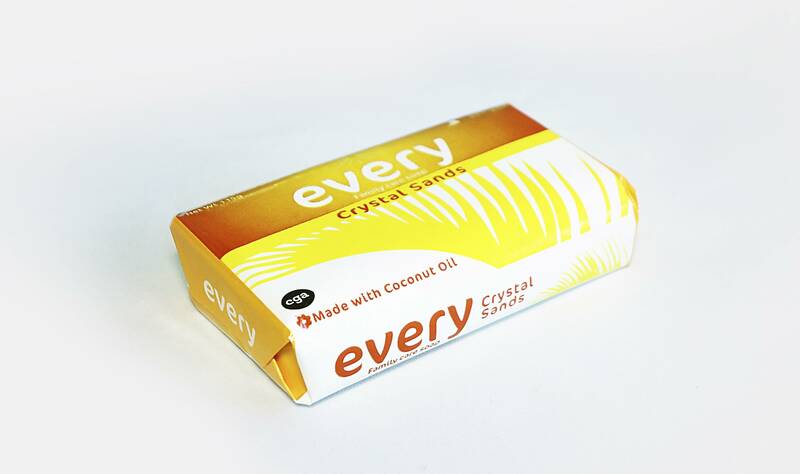 Get an exciting, energizing clean and the natural germ protection, moisturizing and hydration properties of Coconut Oil. FULL INGREDIENT LIST: Sodium palmitate, sodium cocoate, sodium stearate, fragrance, coconut oil, cocamidopropyl betaine, water, disodium laureth sulfosuccinate , titanium dioxide, glycerine, B.H.T., flourescer. A long lasting, exciting fragrance that gives an energizing clean to invigorate the skin you’re in. Come Alive. Cleanse and rejuvenate your skin with the infusion of pure Coconut Oil in a rich, creamy lather. Every wash. Every time! This luxurious vegan family care bath soap with added glycerine and coconut oil naturally moisturizes, soothes and hydrates your skin. Provides gentle cleaning, soothing and rich creamy lathering properties for the entire family. Its fresh, pleasant fragrance rejuvenates and refreshes making every bath an experience. Sodium palmitate, sodium cocoate, sodium stearate, fragrance, coconut oil, cocamidopropyl betaine, water, disodium laureth sulfosuccinate , titanium dioxide, glycerine, B.H.T., flourescer. Take the ocean and its Caribbean sands with you. Enjoy the gentle exfoliation of oats with the infusion of pure Coconut Oil in a rich creamy lather. Every wash, every time! 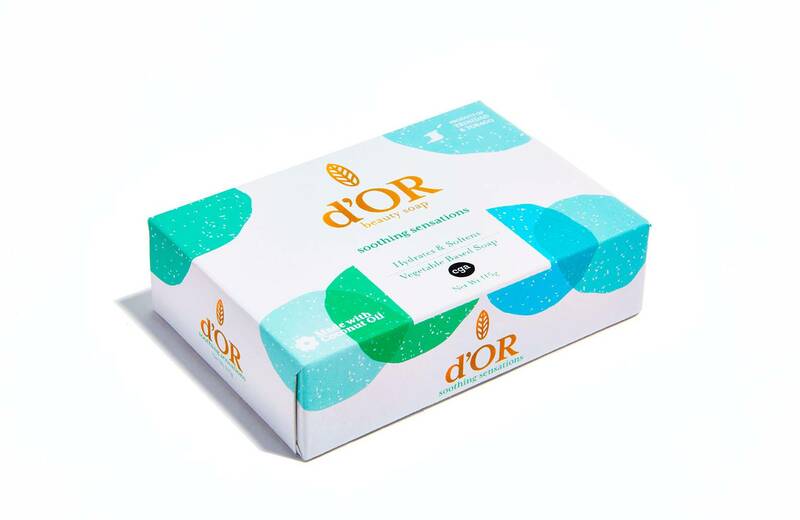 This luxurious vegan family care bath soap with added oats for its exfoliating properties and glycerine and coconut oil to naturally moisturize, soothe and hydrate your skin. Rich lathering bath soap that gently exfoliates, heals and soothes to restore your skin’s natural balance. Its ocean fresh fragrance stimulates and rejuvenates. Sodium palmitate, sodium cocoate, sodium stearate, oatflour, fragrance, coconut oil, cocamidopropyl betaine, water, disodium laureth sulfosuccinate, glycerine, titanium dioxide, B.H.T..
Feel energized by the crisp rush of the ocean. Enjoy a super cool, refreshing scent with the infusion of pure Coconut Oil in a rich creamy lather. Every wash, every time!! Provides gentle cleaning, soothing and rich lathering properties for the entire family. Nourishes, smoothes, moisturizes and refreshes the skin. Its super cool, fresh fragrance awakens and revives the senses. Sodium palmitate, sodium cocoate, sodium stearate, fragrance, coconut oil, cocamidopropyl betaine, water, disodium laureth sulfosuccinate, glycerine, titanium dioxide, B.H.T., C.I. 47000 (D&C Yellow #11), C.I. 74260 (pigment green 7). A Pure soap designed for people with sensitive skin or with allergies to fragrances, colours, dyes or other chemical additives. 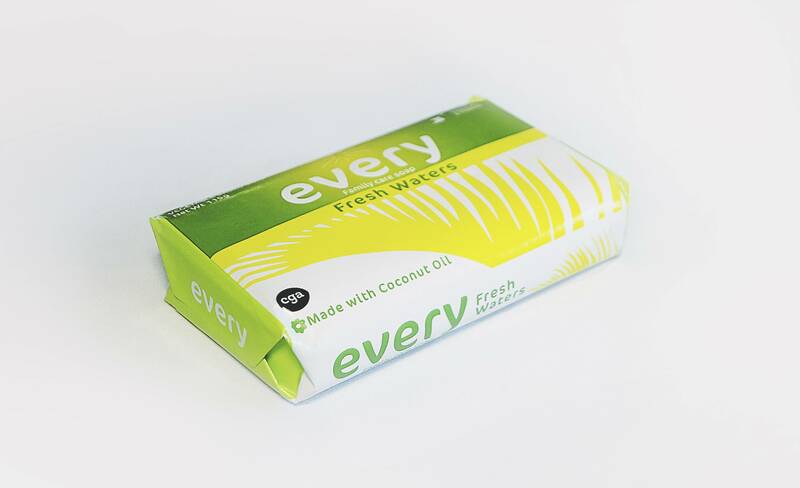 FULL INGREDIENT LIST: Vegetable Soap Base (Sodium palmitate, sodium cocoate, sodium stearate), water, coconut oil, E.D.T.A. Contains healthy Coconut Oil which naturally moisturizes, soothes and conditions the skin. Its gentle mild formula means it won’t irritate skin. This soap is specially formulated for its traditional germicidal and antibacterial properties. 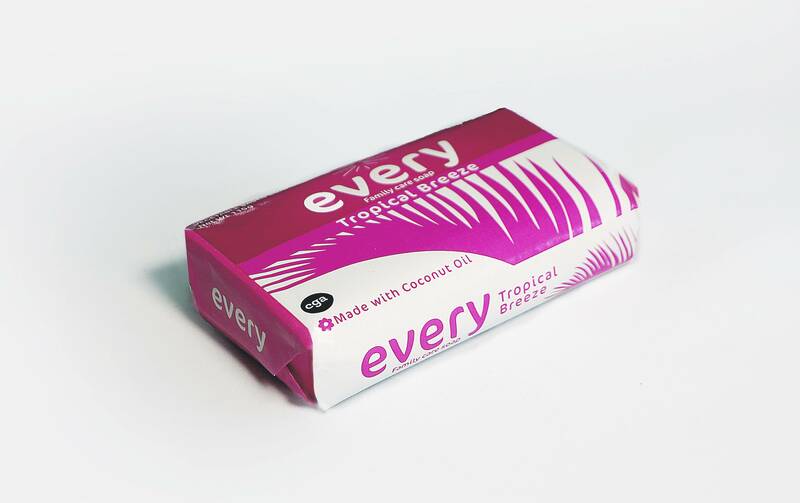 Containing coconut oil for excellent lathering properties and a long lasting bar, this soap is economically-priced for hygienic and effective germ protection. Cresylic Acid for its germicidal properties. Coconut Oil for increased lather and bar hardness. FULL INGREDIENT LIST: Soap Base, Water, Cresylic Acid, E.H.D.P., EDTA, Naphthalene, D&C Orange # 4, D&C Red # 33. 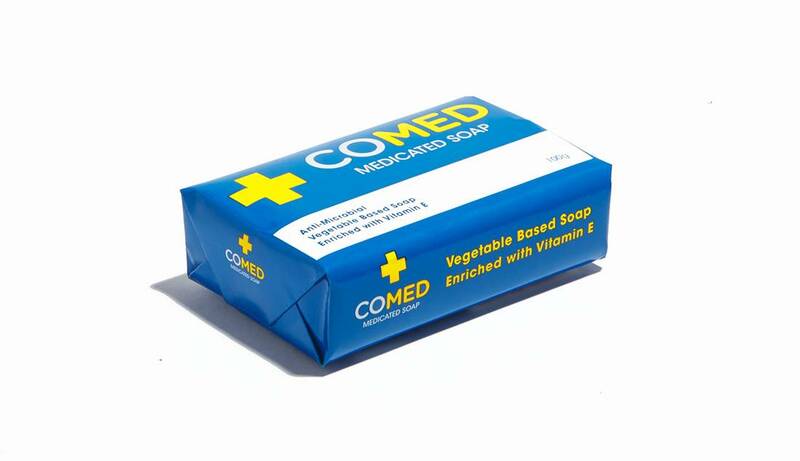 This medicated vegetable based soap bar is designed for general hygiene and anti-bacterial protection. It contains an effective broad-spectrum antimicrobial agent that is effective against both gram-positive and gram-negative bacteria and some fungi. Comed provides excellent cleaning and lathering properties and germicidal protection. INGREDIENTS: Soap Base, Water, Fragrance, Triclosan, Disodium Laureth Sulphosuccinate, Sodium Silicate, E.H.D.P. EDTA, Vitamin E, Titanium Dioxide, Approved Colour.